Universal Newsline - Business, Lifestyle, Entertainment : The flashing tail light in cars glow: Thanks to Macrolex® from LANXESS! The flashing tail light in cars glow: Thanks to Macrolex® from LANXESS! Mumbai, September, 2014: In addition to its established portfolio of synthetic iron oxide pigments, LANXESS, the global specialty chemicals company, also offers soluble organic dyes in a variety of shades and is the only multinational manufacturer with this offering. Identified as brand Macrolex®, these dyes dissolve in a molecular form in plastics. They are not only known for their excellent color strength but are easy to use (no dispersion and causes no mechanical damage to the polymer) and are stable even through changes in temperature. They are ideally suited for the coloring of amorphous polymers such as PS, PC, ABS, PMMA, PET and their blends. 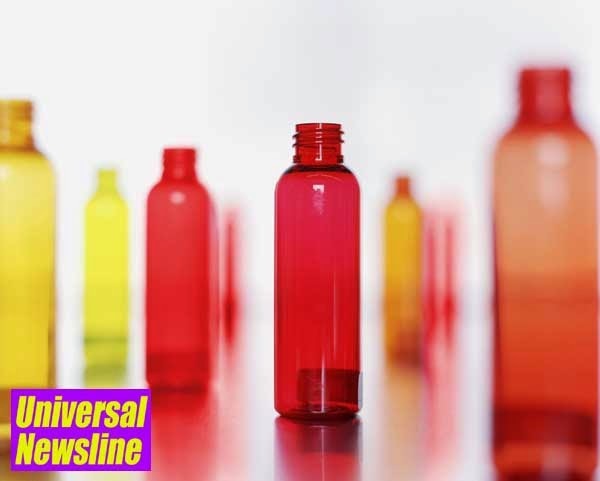 In fact, the transparent coloring of glass-clear plastics is only possible with soluble dyes such as Macrolex®. These include end applications like water bottles (PC), water and beer bottles (PET), PMMA/ PC car taillights and toys (ABS) among others. In India, LANXESS is particularly well-positioned to address the colorant needs of automotive plastics like electrical parts in cars through Macrolex® dyes. LANXESS is a leading supplier of these dyes to masterbatch manufacturers in India and leads the market especially in the applications of red shade. Macrolex® dyes are used to obtain different translucent and opaque shades in combination with inorganic pigments and are suited for applications with high temperatures, where most organic pigments begin to degrade. These dyes dissolve completely in the plastics which melt atthe respective processing temperatures of the thermoplastic. In effect, this means maximum color yield and high reproducibility of color formulations; irrespective of the dispersing speed of the equipment used. They are soluble in organic solvents like aromatics, esters, chlorinated hydrocarbons. They are insoluble in water or, in dilute aqueous solutions of acetic acid or alcohol. This property is important for consumer goods, food packaging and children's toys made of colored plastics, because the dye cannot bleed into the respective media. § Easier process-ability - It has better solubility and is therefore easier to process. The microgranules are dispersed quickly, evenly and completely. They can thus also be metered exactly. § Safe - The high purity results in improved safety in children's toys and packaging for cosmetics and foods. § Virtually no residues -The microfine particles have very good flow properties that allow containers to be emptied almost completely before disposal. Production units are much easier to clean. § Very low dust formation -They generate much less dust than powder dyes. Handling is therefore, much cleaner, more environmentally friendly and has a lower impact on health. § Reduced capacities –Due to its low volume, it is economical to store, transport and process.